Film productions migrate to areas where there is a large tax incentive. In the 1990’s and into the 2000’s that place was Wilmington, North Carolina where they have the biggest studio on the East Coast outside of New York, Screen Gems. Wilmington’s tax incentive was 25% then but now places like Georgia, Louisiana and certain parts of Canada stole all of their business when all three they implemented a 35% incentive. Most Hollywood movies are filmed in Georgia though. And they just lost out on a lot of upcoming movie business after this new anti-abortion bill was passed. Nearly two-thirds of all Hollywood productions are filmed in or around the Atlanta, Georgia area. To give you an example, almost every single Marvel production is filmed there, which should give you an idea how even the most expensive productions rely on incentives to mitigate risk if it bombs. But everyone knows Marvel movies don’t bomb. 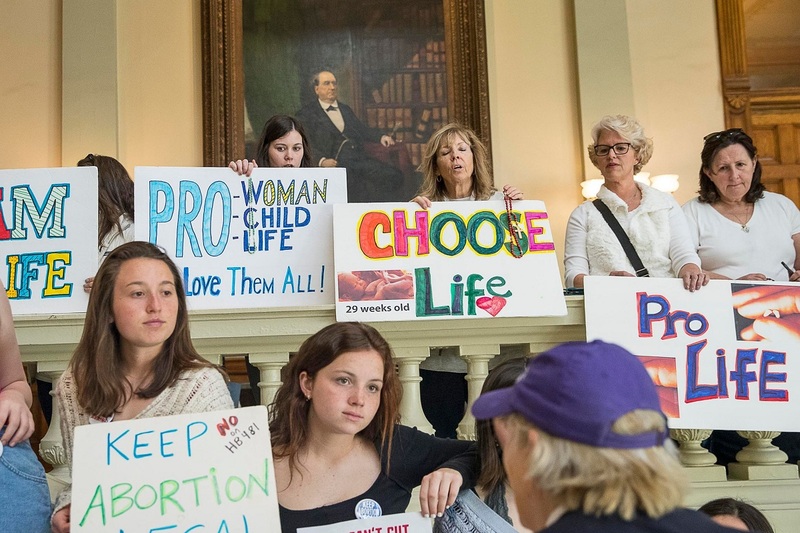 Georgia lawmakers just passed a controversial bill that bans abortions once a heartbeat is detected in an embryo, called the “heartbeat abortion bill,” which is typically about six weeks. The measure passed in the Georgia House with 92 votes on Friday. But the bill still needs one more person’s stamp of approval before it becomes law — the state’s governor, Brian Kemp. It’s likely an open and shut case that it will pass now. It seems inevitable. And of course Hollywood went nuts over it. More than 40 celebrities signed a letter that was sent to Georgia House Speaker David Ralston and Gov. Kemp that was ostensibly a boycott threat that they refused to work in the state if it fully passes. Among those that signed the letter are who you’d expect like Alec Baldwin, Rosie O’Donnell, Patton Oswalt, Sarah Silverman, Don Cheadle, David Cross, Christina Applegate, Ben Stiller, Bradley Whitford, etc. Many others announced their disdain towards the new bill on Twitter like director Mike Flanagan – known for Netflix’s The Haunting of Hill House and the upcoming The Shining spinoff called Dr. Sleep — refused to film anything in the state – right at a point where his career is taking off. Georgia needs to weigh whether protecting life is more important than the amount of money Hollywood commerce generates for them. Hollywood can go anywhere to film and that means Louisiana will reap the awards.